The switchboard inventory at SISCO Inc. features products from all the major manufacturers: General Electric, GE, IEM, ITE, Siemens, Square D and Westinghouse. 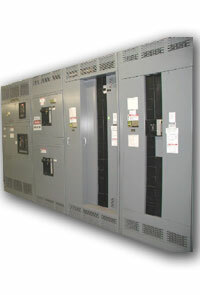 We can service your switchboard needs on everything from a simple 400 AMP switchboard to a complex 4000 AMP switchboard. Both NEMA 1 and 3R. In need of a unique design or set-up? Our tech crew has the expertise to create a custom switchboard for any of your applications. .
For information on our stock of switchboards or to learn more about the endless customizing options, please CONTACT US with your inquiry.